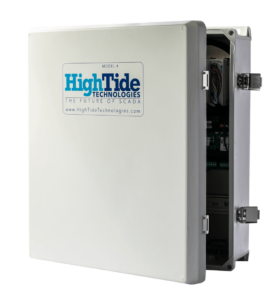 The HTT-1100 is the most commonly used High Tide Technologies telemetry unit. It is equipped with 8 discrete inputs and 4 analog inputs. Optionally, it can be equipped with an additional 4 analog inputs and/or 4 discrete outputs for control applications. 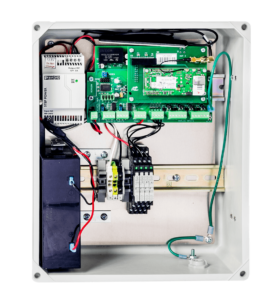 The HTT-1100 also has a built-in power fail monitor and battery backup so that operators can be notified when power is lost and still monitor various alarms. 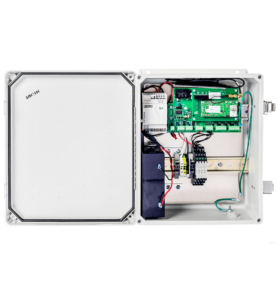 The HTT-1100 can be equipped with AC power supply or a solar power system. The HTT-1100 works seamlessly with the High Tide Technologies TelemetryVIEW web interface. 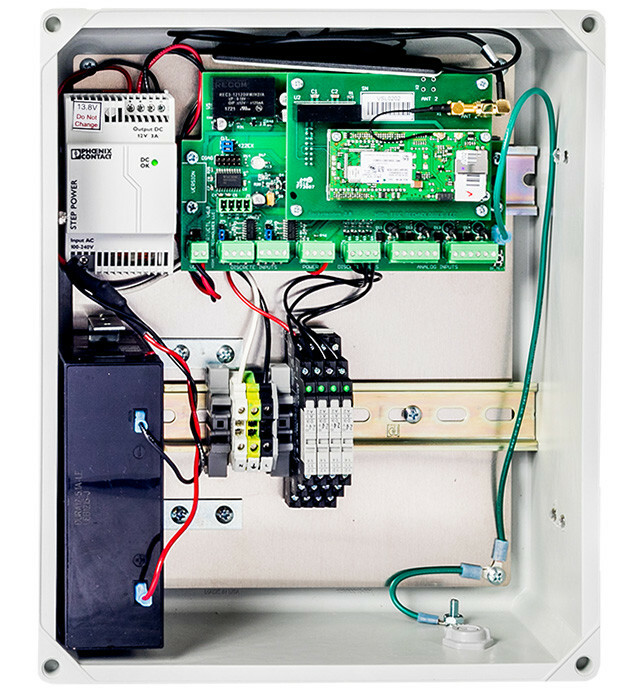 Typical applications include: Lift station monitoring, water tank monitoring, water or natural gas pulse and flow rate meter reporting, pressure monitoring, booster and valve station monitoring, and controls.